Bardis Music was established in 1973 and its first copyright Cross Your Heart written by Paul Lyttle and sung by Irish star Tina represented Ireland in the 1974 Eurovision Song Contest in Brighton England where it finished 5th behind Abba’s Waterloo. Since that time Bardis Music has published many of Ireland favourite songs including classics such as Liam Reilly’s Summer In Dublin and Flight Of Earls, Patsy Cavanagh’s Home to Donegal, and John Duggans Roads of Kildare and Rose of Castlerea, all of which have been covered by more then 20 different artists. It is our ambition to find many more classics in the future. Are you an Irish based Film/TV/Radio/Advertising Agency or Production House looking to License music? 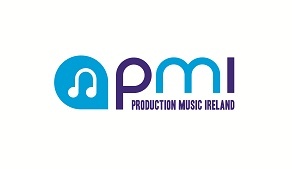 For access to almost 100,000 library music tracks in all genres sign in at www.productionmusicireland.ie or click the logo. Licenses are subject to MCPS rate card. Bardis Music has the honour of welcoming Songwriter, Performer, Radio and TV presenter MARC ROBERTS www.marcroberts.ie to our company. A prolific songwriter Marc has co-written with legends such as Jimmy McCarthy, Charlie McGettigan, Daniel O’Donnell and from Nashville Ralph Murphy. In 1997 Marc represented Ireland at Eurovision with his song “Mysterious Woman”. Patrick has starred in over 100 films most famously “Sleeping With The Enemy” with Julia Roberts. He has recently joined the cast of BBC soap Eastenders. His first single release is his song “Crazy In Love” on Avalon Records. 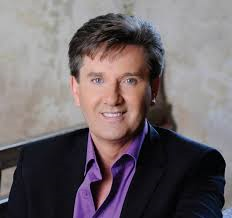 Bardis Music has been appointed the worldwide administrator of Kincasslagh Music Daniel O’Donnell’s publishing company. Kathy went to number 1 with her album 'Lovin' What I Do' when it was released earlier this year. Click on the following to go directly to her website and FaceBook page. Jordan is a young singer/songwriter from Ballymoney, Co. Antrim. His musical influences include Johnny Cash and Hank Williams Snr. Find out more about Jordan on his website. His new single 'Luke The Drifter' (a co-write with Joe McShane) is available to download from www.isgmusicgroup.com. We are delighted to be representing Lisa McHugh's publishing interests and you can read all about her on her website and FaceBook page. Peter Bardon established music publishing company Bardis Music Co. Ltd in 1973 specialising in representing local Irish songwriters and composers. He managed many local bands and was involved with the launch of Lord of the Dance. Bardis Music represent the rights in Ireland of many Nashville based artists including Garth Brooks. Irish clients include Ronan Hardiman and Nathan Carter. Peter is Chairman of MCPS Ireland and was involved in the formation of IMRO. 1. Bardis Music Co. Ltd., collects data about our clients in order to manage the rights assigned to us. 2. This data includes Names, Addresses, email and Phone contact, Bank Account and ownership of music details. 3. We only collect information sufficient to fulfil our contractual obligations to our clients. 4. In order to manage our obligations we may share some or all of this information with Copyright Societies and our sub-publishers or companies seeking to license clients work. 5. We will not share any of this information with a non-connected 3rd Party without our clients permission. 6. We take all appropriate measures to keep clients information secure. Established in 1973 Bardis Music Co. Ltd. is Ireland's leading independent Music Publishing Company. We represent many of Ireland’s leading songwriters and composers managing their rights worldwide. We specialise in Film and TV projects managing rights on behalf of the composers and producers. We also represent many overseas publishing companies in Ireland. Bardis Music represents overseas publishing companies from every continent in the Irish market. We work very closely with local societies to ensure royalties are collected and accounted for in a timely manner. BARDIS MUSIC is Ireland’s leading publisher of FILM and TV music representing the works of many of Ireland’s top composers. Bardis Music represents Composers & Songwriters both in Ireland and worldwide. Jimmy Crowley from Cork has released many albums through the years. His 1990 album included original compositions such as ‘Here I Am Says Bernie Murphy’ co-written with poet Theo Dorgan, traditional arrangements such as ‘Nora Lee’ and ‘That’s The Way From Day To Day’, and covers such as ‘The End Of An Era’ composed by Kevin Beale and ‘The Mad Lady And Me’ composed by Jimmy McCarthy. Jimmy is a keen sailor with a great love of the sea and in 1994 he released an album on Dino Records called ‘My Love Is A Tall Ship’,which included the title song which was to honour the Tall Ships visit to Cork and a tribute to President Robinson called ‘Mrs President’. Galway-born Eric stems from a very musical family and although Irish Traditional Music is his first love, many diverse musical genres have influenced the formation of his unique compositional and performance styles. He has performed throughout Europe, Scandinavia, The Greek Islands, The Caribbean Islands and in Australia, Russia, South America, Africa, Asia and the United States (including Broadway). He has been a soloist with the Brooklyn Philharmonic Orchestra, Australian Philharmonic Chamber Orchestra, Queensland Chamber Orchestra, Irish National Symphony Orchestra, RTE (Irish) Concert Orchestra and Irish Chamber Orchestra, and has performed in a plethora of Concert Halls worldwide. In addition, Eric has performed and recorded with many of Ireland’s greatest musical luminaries including other composers/performers Dr. Micheal O’Suilleabhain, Dr. Charlie Lennon, Steve Cooney and Donal Lunny. In 1992, Eric was awarded a University Scholarship to study Music at the National University of Ireland (Cork) where he later graduated with an Honours Bachelor of Music degree and a First Class Honours Master of Music degree. Eric also studied African Music in Lagos University in Ghana (West Africa) and later taught African Music, Irish Traditional Music and Musicianship at the Department of Music, University College Cork. As a musicologist, he has most recently contributed to a publication on Irish Music entitled ‘The Companion to Irish Traditional Music’ edited by Fintan Vallely (Irish Times), while he is currently working on his own music publication which will be released during 2003. In 2000, Eric was commissioned by Euro-Studio Landgraf (Germany) and North Kerry Arts, Heritage and Cultural Society (Ireland) to compose the music for Ireland’s first Dance Musical entitled To Dance on the Moon. The critically acclaimed production has to date been seen by over 1.5 million people in 15 different countries while it has also been staged for three consecutive seasons performing over 400 times at Ireland’s National Events Centre. Eric is also the composer and producer of the soundtrack for ‘To Dance on the Moon’. In 2001 Eric was also enlisted to arrange and compose music for a production entitled Spirit of Ireland. This show spectacular has enjoyed significant success in recent times in places as diverse as Dubai, Sydney, Paris, New Zealand and New York and continues to tour worldwide. In addition Eric has provided the original musical score for a children’s production entitled Legend of the Knight. This production premiered at the Dr. Yat-San Memorial Hall, Taipei, Taiwan during August 2002. As a result of the knowledge and experience he gained while working on myriad productions in the past, during 2002 Eric formed his own Production Company in an effort to produce and promote shows both for the foreign and domestic markets. Dance of Desire is the culmination of this experience. Eric is the producer, director and composer of Dance of Desire and although still in his twenty’s this production demonstrates his considerable creative talents. Eric was awarded the prestigious Sean O’Riada Memorial Award by the National University of Ireland for his outstanding knowledge of both the academic and practical nature of Irish Traditional Music. John Duggan hails from Co. Mayo. As well as being a prolific composer, he is also a journalist, broadcaster and dramatist. He has had more that 50 cover recordings of his songs by top Irish artists including Foster andAllen, Sean Wilson, Dominic Kirwan, Daniel O’Donnell, Brendan Shine and Brian Cole. His well known compositions include ‘Roads of Kildare’, ‘Rose Of Castlerea’ and ‘The Old Threshing Mill’. John’s new song ‘The Celtic Tiger’ is Brendan Shines new single. John is currently taking a year out from MWR and is working with L’Arche in Baldoyle. Ger Fahy is the leader and uilleann pipe player with popular Galway nine piece band Furry Village, who in the summer of 1996 had an Irish hit with the traditional song ‘She Moved Through The Fair’. Furry Village has also released original tracks such as ‘Chess Game’ and ‘Pipes of Peace’. He is a prolific composer and has had works recorded by Joannie Madden in the USA on Hearts of Space Records and Eileen Ivers on Green Linnet, and also the Boston Pops Orchestra. Ireland’s leading comedian Brendan Grace also writes and sings many of the songs he records on his albums and videos. His latest album, released at Christmas 1996 ‘Something Old, Something New, Something Borrowed, Nothing Blue’ contains some of these compositions as well as many of his popular monologues. Brendan has a huge following on the UK and USA as well as in Ireland. Shay Healy was a folk singer in the late sixties who turned to songwriting and developing and presenting TV programmes, and novel writing. He is famous as the writer of “What’s Another Year”, the song which won the 1980 Eurovision Song Contest when it was sung by Johnny Logan. The song was No. 1 in eleven countries in Europe, including Britain, Germany, France, Italy, Holland and Spain. In recent times, three of his songs, Follow Your Dream, Yes I Really Love You and Even On Days When It Rained have been recorded by Daniel O’Donnell. Guitarist John O'Brien had played with a few showbands including The Tumbleweeds and The Ranchers but most famously with Bagatelle where he played lead guitar. John has composed ad co-written a number of Bagatelle songs. In addition to its own catalogue, Bardis Music administers many other Irish catalogues both in Ireland and worldwide. Original music by Stephen McKeon from the TV series of the same name. Contains works recorded by Irish Superstar Joe Dolan including ‘Ciara’, ‘Angelover’ and ‘This is Joe’. contains the music for childrens TV series such as ‘I’m an Animal’ and ‘Why’ and also ‘Give up Yer Aul Sins’, all composed by Darren Hendley and ‘Granny O’Grimm’ composed by Greg Magee. Contains works recorded by traditional Irish music band The Furey Bros.
Singer/ Songwriter John Farry hails from the beautiful village of Garrison, Co Fermanagh, Ireland and is regarded as one of Ireland`s foremost Singer Songwriters on the Irish Music scene today. owned by film and TV composer Stephen McKeon and includes his award winning scores to films ‘Korea’ and ’35-A-Side’. compositions by Songwriter Columb Farrelly. In 1997 Marc came to international prominence when he represented Ireland in the Eurovision Song Contest and came a credible second with 'Mysterious Woman'. Marc’s first self-titled album was released shortly after he toured extensively throughout Europe. He appeared on all the top TV shows in the UK. Four more albums followed. 'Meet Me Half Way', 'Once in your Life', 'The Promise' & his current album 'Now & Then'. Marc releases his fifth studio album, 'Now & Then'. He has returned to his first love, American country music! The album includes covers from Rascal Flatts, Keith Urban, Restless Heart, Clint Black, Colin Raye & two brand new originals. One of the tracks from the album is the duet Marc has recorded with Mary Duff. 'Now & Then', has 11 brand new recordings & 7 earlier recordings, including 4 John Denver songs. Marc's versatility as a performer has taken him all over the world. Performing his own music in Europe, Australia & Tasmania (where he has built up a large fan base), the American festivals, Milwaukee and Chicago gives Marc an opportunity to showcase his Irish & contemporary side. He is currently performing a series of concerts, 'A tribute to the music of John Denver'. This show has sold out theatres all over Ireland including the National Concert Hall on two occasions. It was a great honour to perform this show in John Denver's home town in Colorado. 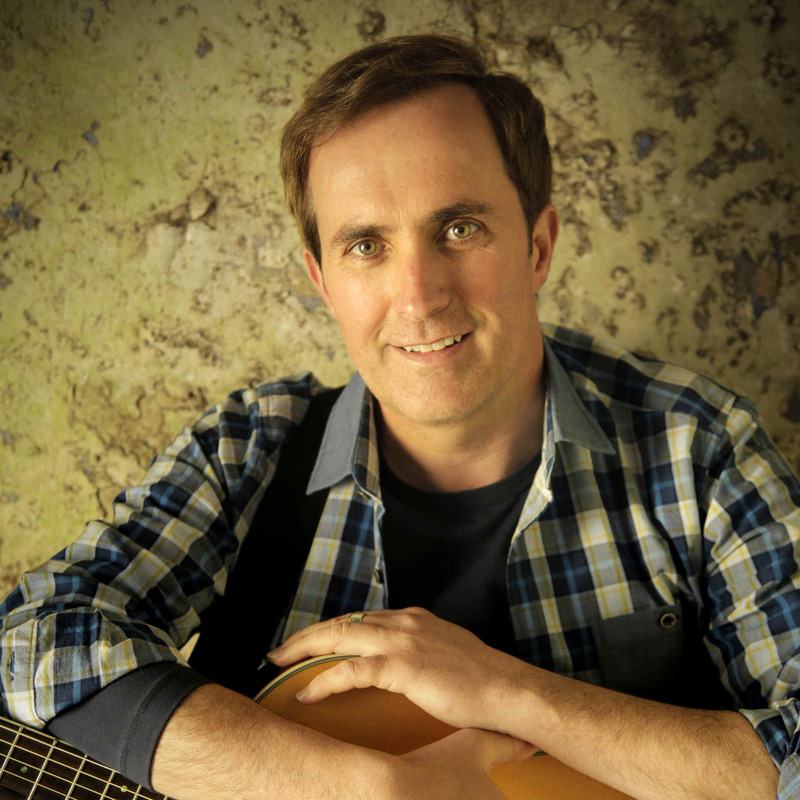 Last year Marc was the recipient of the 'Sunday World All Ireland Country Music Awards' - 'Solo artist of the year'. This year they have awarded him 'Theatre show of the year' for his interpretation of Denver’s music. For the past nine years Marc has been a special guest on 'Trad On The Prom'. The show runs 3 nights a week from May to September each year. Established as the Number One Show in Ireland, it's a celebration of Irish Culture. Songwriting has always been a huge part of Marc's career. All of his albums to date have included his own materiel. He has co-written with many top songwriters.... Brian Kennedy, Charlie McGettigan, Jimmy MacCarthy, Darren Holden, Ben Mills, Derek Ryan, Grammy Nominee Billy Yates & Daniel O'Donnell. With Daniel, Marc has co written 15 songs and has had a top 20 hit in the UK singles charts. He was awarded 3 platinum discs. Marc presents a new TV series 'Opry an Íuir'. Last Autumn Big Mountain Productions and TG4 showcased the biggest acts in country music in the intimate setting of the Old Town Hall in Newry. This year Marc recorded Series Two of Opry an Íuir. He mentors the special guests, helps to picks their songs and produces the final product. Marc is a radio presenter with 'Galway Bay FM'. His shows 'The Feel Good Factor', are exactly as it says, feel good music! He's on air every Saturday 12-3pm and Sundays 11:30-1:30pm. compositions by songwriter Dave Clarke, member of The HotHouse Flowers. contains new compositions by Dave Browne from the successful Irish band PictureHouse. Original compositions by Ireland’s most famous guitar player, Philip Donnelly. E with a P music is the publishing company of award winning composer Eanan Patterson. Contains the score to Irish dance shows ‘To Dance On The Moon’, ‘Dance of The Universe’ and ‘Spirit Of Ireland’. The Songs of the new exciting Irish band The Fortyfoot Gentlemen. contains the music for the hit TV shows ‘Killinaskully’ and ‘Sgt. Mattie’. 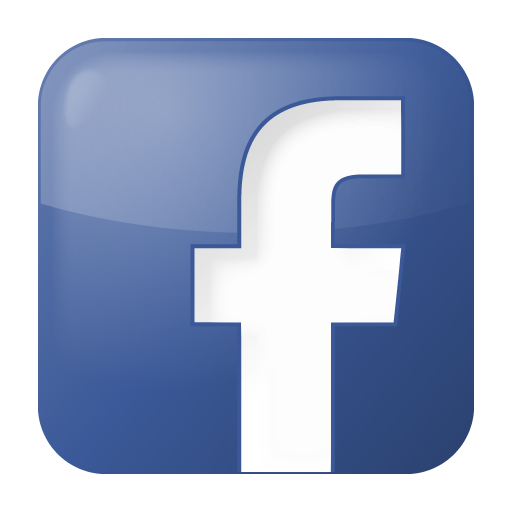 Is the publishing division of Owl Records and contains original and public domain arrangements by Reg Keating. Contains original and public domain works released on Irish record lable Malgamú. Contains the scores of a number of award winning TV series such as “Waterways”, “From The Horses Mouth”, and “My Riviera”. All are composed by Ronan Hardiman. Octopus Music is the publishing company for The Hothouse Flowers and contains songs newly composed for their album “Into Your Heart” released in 2004 on Rubyworks Records. This catalogue is owned by Shay Healy who won the Eurovision Song Contest in 1981 with ‘Whats Another Year’ and contains recordings by recording artists Daniel O’Donnell and Ronan Tynan (from the Irish Tenors). The music score to award winning BBC TV drama “Amongst Women” composed by Niall Byrne. Compositions arranged and written by leading folk singer Paddy Reilly. Original compositions by Bill Bonner. Seo Linn are an energetic and fun young band that are bursting onto the Irish music scene with their powerful originals and unique take on contemporary songs with a particular passion for Gaeilge. Not only have they had continuous success with their involvement in Coláiste Lurgan’s famous YouTube videos, with which they have now garnered upwards of 18 million views, but they have also brought their music all over Ireland and across the seas to places including Boston, Edinburgh, Glasgow, London and even to Uganda with Gorta Self-Help Africa. They appeared on the Late Late Show with their version of Avicii’s Wake Me Up as Gaeilge and have a wide-ranging set list including Gaeilge versions of chart-topping hits and their own original songs. They are the official ambassadors of Seachtain na Gaeilge 2016, during which they proudly translated the massive global hit, Thinking Out Loud for none other than Ed Sheeran to record. On top of this, their new 12-part series, Cleas Act can be seen on TG4 where they travel the country spreading the joys of music and Gaeilge. Music composed by Irish composer Mark Armstrong. Shandon Music is sub-published outside of Ireland by Universal Music. owned by Screentime Shinawil the independent film company and makers of The Apprentice and Dragon’s Den in Ireland. The music of Irelands No. 1 folk group The Wolfe Tones. They have sold over 2 million albums worldwide. Original compositions by Jim Doherty and comedian David O’Doherty. Original compositions by Ronan Hardiman. original music by Greg Ffrench. Publishing arm of Magma Films. The score to the award winning film “Hear My Song” by John Altman.